I first brought you this post last summer. It was crazy popular and since I have been able to find these little nuggets of yum again, I thought I would reshare these amazing recipes with you. Do you love Girl Scout Cookies? Do you find yourself sad when cookie sales are over and you wake up in a panic, realizing you did not buy NEAR enough cookies? Yeah, me either. I actually only buy one or two boxes each year. But, once those are gone I do get kind of sad knowing I will have to wait until next year to enjoy my favorites again. I always say I am going to buy extra boxes just so I can create amazing recipes with the delicious cookies but, I never do. And then I regret it. 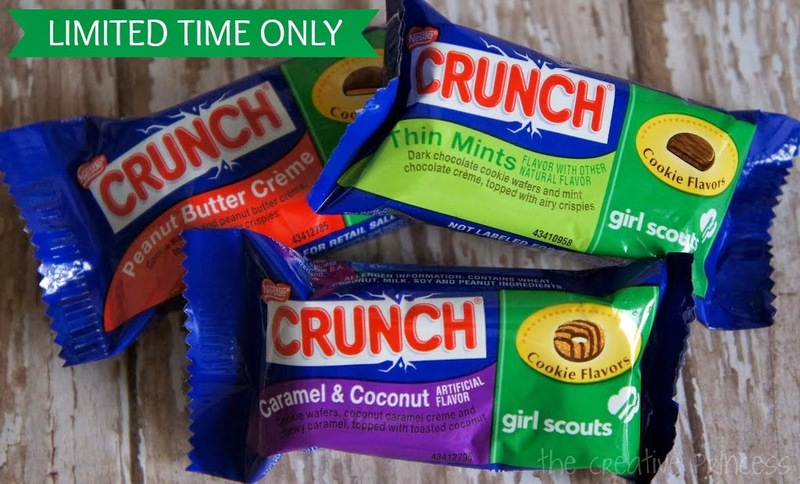 Then, I discovered these amazing little candy bar cookie hybrids from Nestle Crunch. Just like the cookies though, they are only available for a limited time. 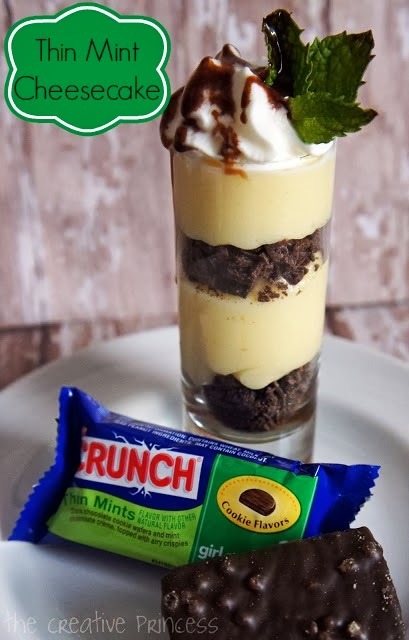 But, at least I can just head to my local Walmart and pick up a few boxes of Nestle Girl Scout Crunch bars when the craving...errr...I mean recipe idea hits! I like taking my snacks to the next level, and these are no different! I had a major craving for some cheesecake the other day, but I know if I make a normal size cheesecake I will eat way too much of it. So, I decided to use some shooter glasses and make perfectly portioned snack sized cheesecakes. These are SO easy to make! 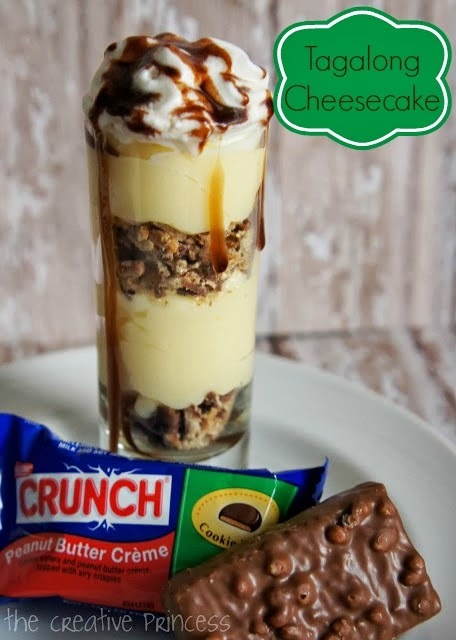 Just crumble up one of the little bars, place a bit in the bottom of a shooter glass and top with cheesecake filling (I used Jell-O No Bake). 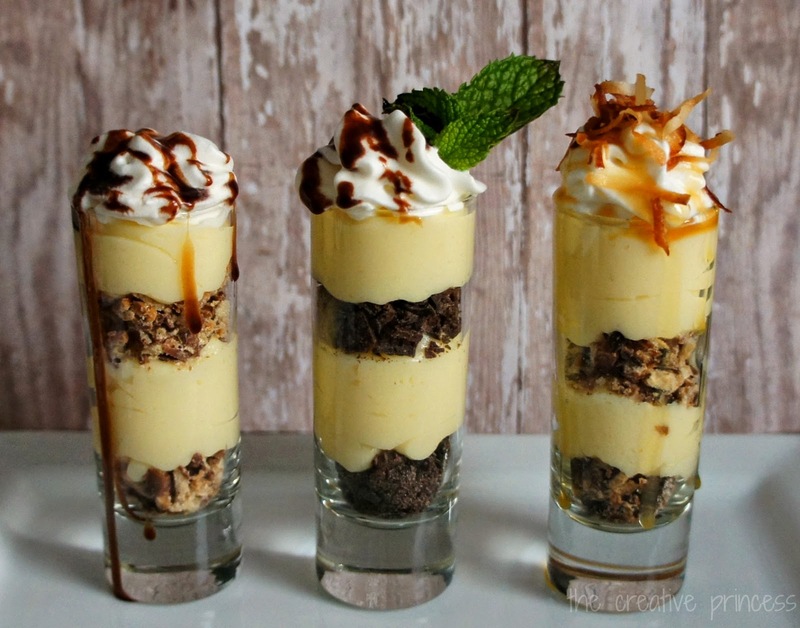 Continue to layer until you reach to the top of the glass and top with whipped cream. That's it! 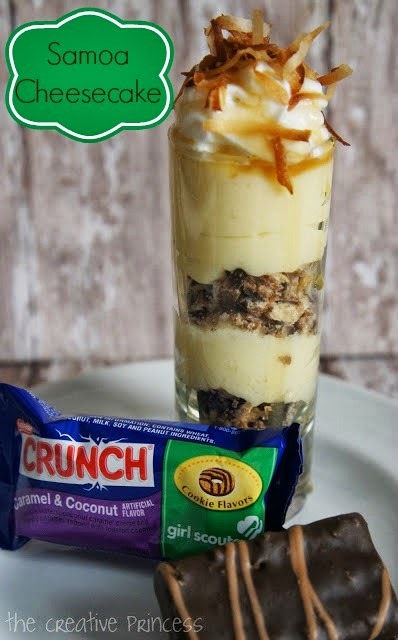 I did add chocolate syrup to the Thin Mint and Tagalong versions and added caramel syrup and toasted coconut to the Samoa version. These were SO good! I was going to add some peanut butter to the Tagalong version but, decided not to. It honestly didn't need it. The Peanut Butter Creme bar provided the perfect balance of chocolate, peanut butter and crunch! The Samoa version was hands down my favorite! I do have a long standing love affair with toasted coconut and caramel though. Man oh man was this GOOD! Be sure to stock up on these bars before they are gone! I may, or may not, be hording hiding a few boxes in my freezer.